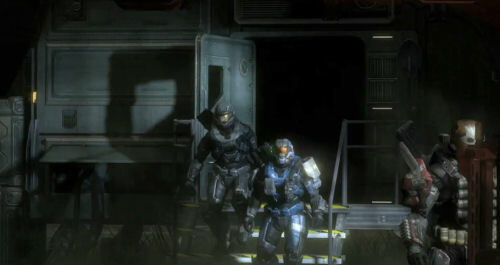 In a recent interview with Edge Magazine, Bungie employee Marcus Lehto said that Halo Reach is a bit like Titanic. It's going to sink to the bottom of the ocean and fail miserably? Not quite. It's going to go on and make billions of dollars and be the biggest selling game of all time? Perhaps, but not likely. Reach is like Titanic because we know how the story will end already, we know that "Reach is going to fall and 700 million people are going to perish." But it's more than just that. Bungie has a unique opportunity to showcase a setting in which things are getting worse and worse. It's a hopeless situation where there appears to be very little hope, much like Star Wars: The Empire Strikes Back. If you are invested in the canon of Halo, and if you aren't shame on you, then you might be wondering how Bungie is going to handle things like new weapons and items. This IS a prequel after all, and there needs to be some reason we don't see them in the later games, right? One of the justifications is - and this is one of the things we had to play with - during Reach we have both military forces, the Covenant and UNSC - at the height of their powers. They are coming to Reach with everything they have and the assumption is that some of these things never made it off the planet. They were rendered extinct by the end of it. That’s one of the fictional wrappers we’re using. Speaking of technology, Bungie claims in a separate piece that they are utilizing every ounce of power out of the Xbox 360. Something like this is, of course, fanboy fodder. It'll be interpreted that the Xbox 360 has no more juice left in it, that no game will be able to look, sound and play better. The reality of course, as we know from history, is this is not the case. While Bungie may be squeezing every resource they can see from the system, there's always someone more talented that finds some newer trick to create something better. Finally Bungie wraps up with the obvious - Halo Reach's replayability. It's been a staple in the series since Halo 1. The main reason has always been the dynamic AI, the unpredictability of what will happen next. This Bungie says, it what puts their game a step above something like Uncharted or Call of Duty in longevity, games which rely heavily on their scripted sequences. And to think, they didn't even mention the co-op play as another piece of the puzzle that makes the game fun to experience over and over again. 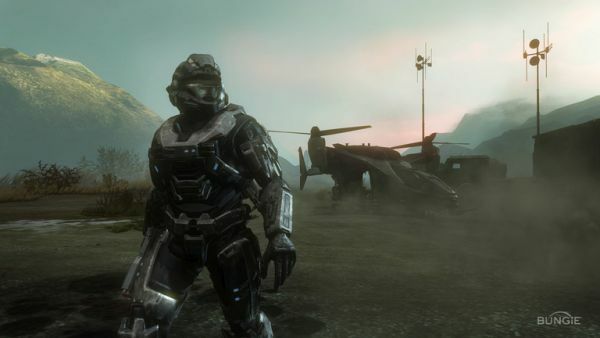 More will be revealed soon with Halo Reach, and we'll be sure to have the coverage for you.